When my daughter gave me a One Year Chronological Bible and what you were going to do, I thought here is my chance to read the Bible in one year.I had several failed attempts. Because of the commitment you making I though surely I could do the reading part. It has been a great decision. I look forward every day to reading God’s Word and to what you have to say. Thank you for your faithfulness and I pray for you almost every day. Reading the scriptures daily has been a great blessing. I love the way you see things that I don’t see or think about .Thank you again for your ministry work and I will see you in church. I just wanted to say “thank you” for this amazing experience!!! I haven’t been 100% successful in reading EVERY DAY, but I have made huge strides and efforts over years past! 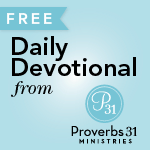 Your daily emails shed light on the scriptures that my little brain did not see. AND to know that there was a mark on your map where Carlsbad, New Mexico is, knowing that you prayed for me… you will NEVER KNOW the impact you have had on women around the US just like me. God Bless you in ALL that you do!!! Thank you again!! I want those that are thinking about reading through the Bible to know what a great experience it has been for me this year. It has given me a different perspective of the Old Testament. It now makes a lot more sense. The other thing I have enjoyed is the blog with you, Wendy and the others who are so faithful to comment, Joy, Lori, Brandee and the others. I always am blessed by reading their comments. Thank you, again Wendy for all that you have done with this. Thanks for listening to Him and following His lead. In response to God’s invitation, I took a daily journey through His Word this year, and what a blessed walk it has been. My destination was His heart and my desire was to know Him more. It wasn’t just an assignment, it was an adventure. It wasn’t just a command, it was a call. Already aware of the detours and roadblocks I would encounter along the way, the Lord provided insight and friendship through companions who encouraged me, prayed for me, loved me, waited for me and accompanied me every day. 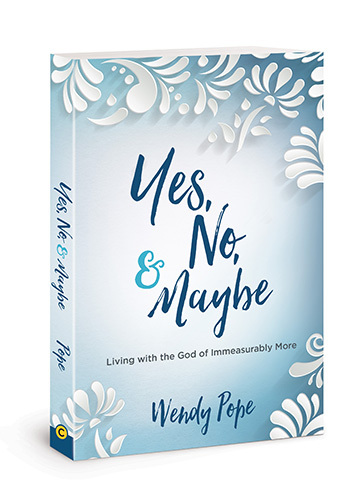 God more than supplied with an excellent travel guide in Wendy Pope, whose authenticity and passion for her Lord was continually evident. More than mere words, her daily sharing increased my hunger for the Living Word, and through time spent with Him, my longing for His heart to beat within me has increased. The incredible number of times God spoke specifically and personally to an exact need or circumstance, just blows me away. I trust many more will answer the call, take His hand and walk the path with fellow pilgrims who are all seeking His heart. Wendy – I will be there with you for 2010 – and I’m planning on inviting my sisters and several of my friends! Thank you for leading us each and every day! It is an AMAZING journey! I get up and read the day’s lesson before I start my day. It is great to get your email in the evening so that I can once again bring my focus back to that precious time with God. My goal next year is to re-read the message after the blog arrives and find that point in the reading. Thank you for you guidance in this study. I am so thankful to Wendy, through Proverbs 31 Ministries, for inviting me to be a part of the “2009 Walking through the NTL Chronological Bible” study. It has continued to strengthen my faith and bring me in closer relationship to God through His Word. Wendy’s insights to our daily reading have made them become more alive and relatable. I was able to pick out what we have termed “golden nuggets” that touch where I am in life bringing God’s word more meaning for me and my life. Her encouragement to stay on this journey has been amazingly helpful. I enjoy the opportunity to post my insights, thoughts, concerns, cares, and joys as well. It has also been so amazing to be in touch with believers all over the US and even the world! We share the love of Jesus, our joys, our struggles, our cares, our hope, our valley times and mountain top experiences. All giving us unity within the family of God. This is the first time I am writing, although this experience has been so amazing. It seems every day you speak to me, where I am, from the amazing words of our God. This has been a year of personal and financial struggle for us, but again and again I have learned to listen to my savior and surrender all to him. Don’t get me wrong, there have also been plenty of times that I have stubbornly tried to make my own way and was quickly reminded that I cannot do it alone. How wonderful to know that all across the country there are sisters praying, struggling, rejoicing and learning with me. The personal trials you have shared have hit home for me and I encourage you not to hold back when the Lord leads you to share. I know that many are touched and feel connected. I thought I would just be blessed to make it through one year, but now can’t wait to do another. Thank you for your perseverance, support, words of wisdom and incite. What a wonderful journey and what amazing company! Thank you so very much and may God continue to bless you. I have been following with you all year and it has been wonderful! It was so special to order the Chronological Bible last November and see that it had already been prayed over. I have taken notes throughout my readings to try to understand the timeline of history and I have learned SO much! I have also learned much from your insights on your blog- Thank you for your service to the Lord and me too!!! This journey has been such a blessing and inspiration to me. Your insights brought new knowledge and clarity to the reading of God’s word and I have matured greatly in the things of God. I am truly grateful that I took the challenge and look forward to round two in 2010!!! Hi Wendy – thanks for this opportunity to speak about the experience of this past year of reading thru the chronological bible: Now 62, and have been a Christian for many decades, yet would never stay with a read thru the bible project – so determined to accomplish this – happened on to your blog and took up the challenge: So difficult for me to read in the NLT, instead of my much favored NAS – so much of the OT I had carefully avoided and found just awful to read – so often I wanted to give up – yet consistently compelled to press on and as the days of the much beloved NT approached – this I came to know about the OT -the why of the OT (all the battles the muck and gore)- For This The CROSS -why is the OT so repetitive – sheep require repetition – why all the detail – my God is Lord of all and most of all as the NT approached – I find a glimpse of what the OT people must have felt in waiting for the Savior to appear – the when will this end – I so wanted out from under the OT ways – found a new joy in the birth of my Saviour – Jesus Christ – praise God for this most cherished of blessings He has provided Wish I could be concise, feel free to edit as you choose And My thanks for sharing the insights that you have been granted throughout this year – a sweet deepening in the knowledge of The Word – full of gratitude! Reading through the Bible and reading the daily blog have been an incredible experience for me. I’ve learned so much and have felt closer to God. Thank you for always sharing from your heart. I started this with the thought that it would be good yet not life changing ~ wow was a wrong. It has been life changing for me. This is the second time I had read the Bible through however it was the FIRST time I understood it. Wendy has helped me in more ways that one. I strongly recommend this. God is there ready willing and able ~ he has sent Wendy to help. You just have to do it. God Bless you! WOW – I can not thank you enough for your sweet message. What an encouragement you are! I started back on October 5th, and I can feel God revealing Himself to me. You are a blessing, my friend! See you on your blog! I bought my NLT Chronological Bible, last November, so that I would have it to start the new year with. I have read through the bible each year for the last 5 years, but I wanted something more. I was really getting a lot more out of the OT readings when they were in order of when they happened, other than by book order. Then I discovered your blog in April, and WOW, did that shed a whole new light on my daily reading. Not only do I never miss a day, but I look forward to it in a way that I haven’t for a long time. I’m excited about reading my bible and then checking in to hear from all the girls online. I don’t always blog, but I do read the comments every day, and I pray for my online sisters. Thank you for doing this daily blog, and I’m really looking forward to 2010 because I will be able to read and blog with you all year. Thanks! I’ve always been afraid to try reading the whole Bible, and my few attempts at regular, organized reading failed – I never seemed to understand what I was reading and always became very frustrated. When Wendy began posting about her daily readings on her blog, it seemed like a safe way to try again – and now I love it! Knowing that I can read someone else’s take on the reading after my own research is great, and I love the community of commenters that has grown from this project. My day doesn’t feel right without this quiet start. I have been on this remarkable journey with dear Wendy and her friends this entire year. No, I haven’t been one of her bloggers, but I have sat in their shadows soaking up their knowledge of Scripture as never before. I have read the Bible through each year since my dear Mother’s death in 1998; but never before has the Scriptures come alive to me as it has this year. I intend to follow along in the shadows of dear Wendy and her friends in 2010, expecting our Lord to not only bless me greatly, but expecting Him to bless each of them greatly as they follow Him on this remarkable journey teaching His Word to others! Thank You, Wendy, for sharing your knowledge of Scripture with me daily…May God Bless You richly, dear friend! Working through the bible daily with you and the other blog posters has been a blessing in my life. I have never read the bible through and have learned so much. I have looked forward to what I would learn every day. I especially like how you have taken the time to show us the Greek translations of words and how much that impacts the meaning of a passage. I feel like I have gained friends, gained confidence in my faith and gained enjoyment of the Word. I’ve also learned how much there is to learn and plan to do it again in 2010. Be blessed on your endeavor next year Wendy; you are surely bearing much fruit! I am so looking forward to doing this again with you! I had never been a “blogger” before, but literally, toppled on top of Wendy’s invitation to join her about a year ago—a decision that has transformed my life in ways I’d never imagine! My goal to read through the Bible had failed many, many times, as I tried to do it on my own. 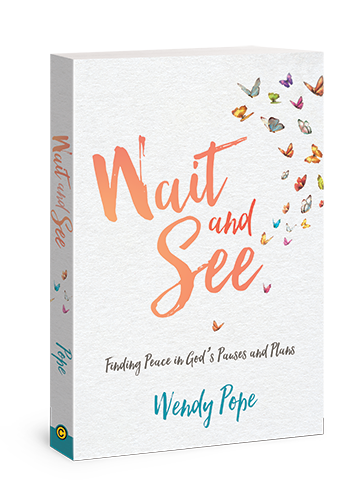 God has drawn me so close to Him this year while reading along with Wendy and the many other special people who are on this journey together. Oh, jump on board with us; you will not be sorry, and you, too will be richly blessed! When I became a Christian, I was learning how to live in grace little by little. As much as I liked Bible studies, I was still learning a little bit here and there – skipping over what seemed boring or “over my head”. This verse from Hebrews 5:12 sums it up well, “In fact, though by this time you ought to be teachers, you need someone to teach you the elementary truths of God’s word all over again.” When I heard about the Chronological Bible study I felt it was an answer to this conviction that I wasn’t studying the Bible as deeply as I should. Instead of reading the Bible in “piecemeal” this study is taking us through the entire Bible, in the order the events happened. Every day I find precious nuggets of elementary truths that inspire and motivate me to dig deeper into God’s word on my own. If I seem to dig and come up empty-handed, there are insights shared by others that greatly enriched the day’s reading. Doing an online Bible study is very convenient, and the added blessing is the fellowship with other believers from all over the world. This journey of reading through the Bible this year has been an incredible experience. The Chronological set up and NLT have brought the Word to life. I believe I would not have made it this far in my reading if I would not have had Wendy’s blog to follow. Her insights and other reader comments, have helped me interpret and understand the scriptures with such a deeper meaning than ever before. I am excited about reading the Bible through again next year and taking my relationship with Christ to an even deeper level!! The Lord has truly given you the gift of teaching. Your such a blessing to this group. The journey through the Chronological Bible has been wonderful. The Lord has grown us all so, so much this year by this wonderful study, your blog, your comments, and everyone else comments. WOW, what a amazing year!! Our God is SO FAITHFUL!! I have really experience HIS Faithfulness this year in my life more than ever. Especially at She Speaks this year. The most important thing I learn at She Speaks this year is that GOD loves me unconditionally and I really didn’t truly know that in my heart until that weekend. I am truly embarrassed to say I was the one that was sulking. And you said on the stage, I’m not a prophet but the message was stop sulking. I was so shocked that The Lord would reach out to me like that through you,, I felt very alone at She Speaks and then HE did that and a few other surprises that really made me feel accepted and truly loved by HIM. WOW! Praise God! I Pray that our Lord continues to Bless and keep you and your family. You’re lovely inside and out! This is a great format, 15 minutes a day for a year- I can manage that! The online commentary is so helpful- the meaning of scripture quotes are so much richer when you understand their history and true meaning (I love your definitions and references to other sites/books etc for deeper research on an event). Also, the comments and insights of other readers are heartfelt and touching. All of these elements help explain customs of the time period and provide a deeper understanding of the scripture lessons. I am learning so much and truly am blessed by your ministry. Thank you for all your efforts and dedication. I want to thank you so much for being our leader this year with the chronological reading. You have been encouraging and pulled little bits out that I may have missed and made them come alive. I also have enjoyed the comments from the other women, their revelations and honesty of struggles makes you realize you are not alone. It has become a family that cares and holds you up in prayer, all while you are developing a closer, more intimate relationship with God. To know Him is to know His word. I know this has taken a lot of your time, thank you for doing it, and I look forward to fresh revelation as we do it again next year. I just wanted to let you know how very much I appreciated “Reading Through the Word” along with you! I have never been able to stick to it, and read the entire Bible, but along with you and your support, I’m going to make it this time! It has been exciting and refreshing to share this with you, and I so appreciate your wisdom and in sight. Many times, you have put a passage that I read into prospective, and helped me to see how it applies to my life today! Thank you, thank you!! What a blessing it has been this past year to learn more of God’s Word each morning reading your blog. God has truly spoken to me through you. You should make a book of this last year including wonderful comments that are written daily. My commitment to read through the entire Bible in 2009 has been so fulfilling. This is the first time I have ever read the entire thing and I have enjoyed it more than I can express here. I have learned things I never knew and have become consumed by my hunger for more knowledge of God’s word. I work full time and have a 4 year old son, and still have managed to keep up with my readings throughout the year. I can honestly say it has changed my life and has helped me to face challenges in a much more positive way. Thank you so much for your blog! Although I don’t comment, I read it religiously along with the other ladies’ comments. All of you are an inspiration to me! I plan to read again next year! Reading the Chronological Bible in 2009 was a journey like I never imagined! I have attempted to read the entire Bible before, but never made it past Leviticus. Wendy and the ladies that participated in the Chronological Bible reading made it easy to remain faithful to the daily readings. By sharing insights, areas of concern, prayer requests, and humor, we became a family of sisters all with a sincere and abiding desire to drink deeply from the Word of God. I highly recommend this journey to all! Reading the Bible in 1 year with Wendy has been a wonderful experience. The Bible came to life for me like never before. Even the more difficult books of the Old Testament had “nuggets” that I never would have seen on my own; and blogging with friends about each day’s reading opened up a whole new arena of understanding for me. The best part: God met me there!